Airports Council International (ACI) statistics reveal that some of the busiest airports in the world, measured by aircraft movements, have movements running into hundreds of thousands every year. Aircraft movements are taken to be a landing or take-off of an aircraft. For each and every one of these movements, there is a team of technicians and licensed aircraft maintenance engineers who will have worked their magic to ensure the safe movement of these airplanes. It is a technical requirement that each and every one of these take-offs has to have one or more licensed aircraft maintenance engineers signing off for its safe operation. While the statistics above tease your imagination, just try to fathom the numbers of technicians and licensed aircraft maintenance engineers required for such tasks across the globe! A licensed aircraft maintenance engineer needs to shoulder the responsibility of signing off on these aircraft movements and the colossal number of passengers that are carried by these aircraft - they sign-off for a safe and comfortable flight. These are the unsung heroes of the fastest growing industry in the world. Know now, that behind every flight that takes off from the globe, a licensed engineer will have given his blessing. It is indeed a profession that carries great responsibility. A profession ideally suited for men and women with integrity, dedication, honesty and self discipline - quality pre- requisites for aviators! The dearth of licensed engineers the globe over has made aircraft maintenance engineering one of the most lucrative careers of all time. Aviation has, in fact, literally brought countries closer together. As global trade, business, tourism & leisure opportunities continue to grow and shift across the globe, international travel will too. Countries across the globe continue to build more airports. They keep expanding existing airports. As airlines grow and enhance their fleet, aircraft manufacturers keep building bigger, safer and more efficient aircrafts - the aviation industry keeps growing no matter what, and with it grows the demand for qualified personnel to successfully and efficiently manage these entities. The Aircraft Maintenance License is issued by the relevant civil aviation authority of the respective country. It is a globally recognised license and the most valuable instrument for the aspiring aeronautical engineer. 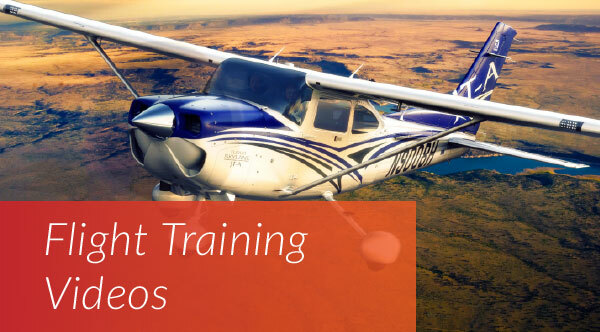 Once one obtains the Aircraft Maintenance License, it will undoubtedly serve as a solid foundation to building one of the most lucrative careers in the global aviation industry. Skyline Aeronautical Engineering Training Academy (SAETA), with its training facilities in Ratmalana (Colombo) & Peradeniya (Kandy), has been at the fore-front of training engineers for the aircraft maintenance engineering license (AML) since 2009. The programme is of 3 years duration, which includes 1 year of industrial training. Other affiliated special courses such as gas turbine, hydraulics, avionics and electrical complement the specialization and are well received by the industry. The vision to empower a young energetic work- force of qualified licensed aeronautical engineers, who are industry ready for the global aeronautical engineering and aviation industry, has set skyline's sights on a mission. With training and resource facilities that exceed expectations of the industry, skyline has gained an un-paralleled reputation for producing some of the best engineering interns for the aviation industry. Those interested in following the Skyline Aeronautical Engineering Programme for the Aircraft Maintenance Engineering License should contact skyline on 0114 210 300 / 0112 635 600.